Not the fantastic Mr Fox. 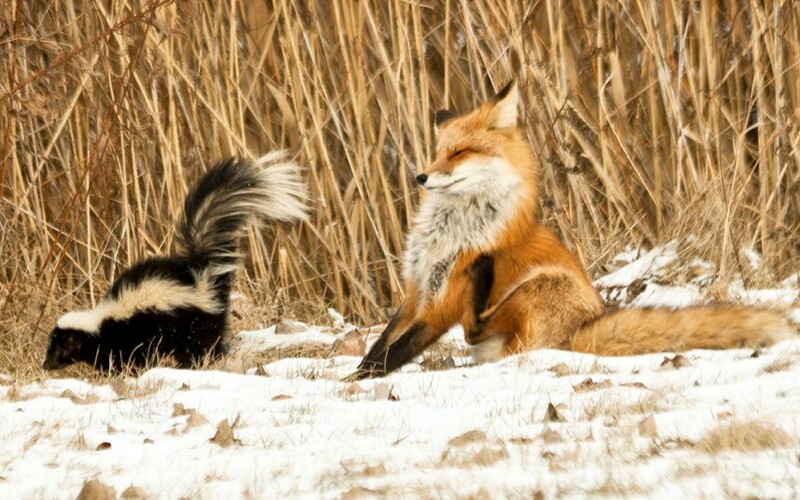 A clever skunk blasts a predatory fox in the face with his scent. 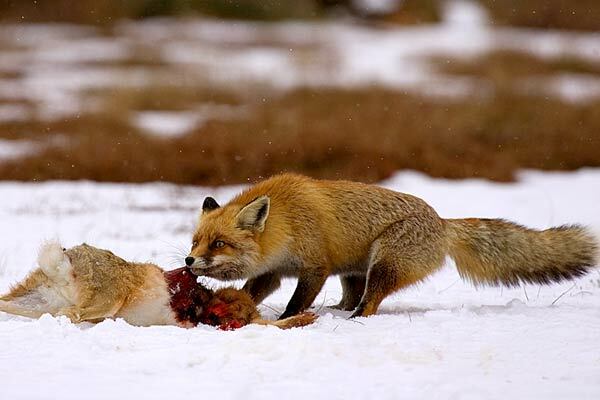 Amateur photographer Jocelyn Rastel Lafond was luckily enough to capture the failed attack by the fox on camera in Lavaltrie near Montreal, Canada. Lafond said the fox had "such a ridiculous expression after getting sprayed". 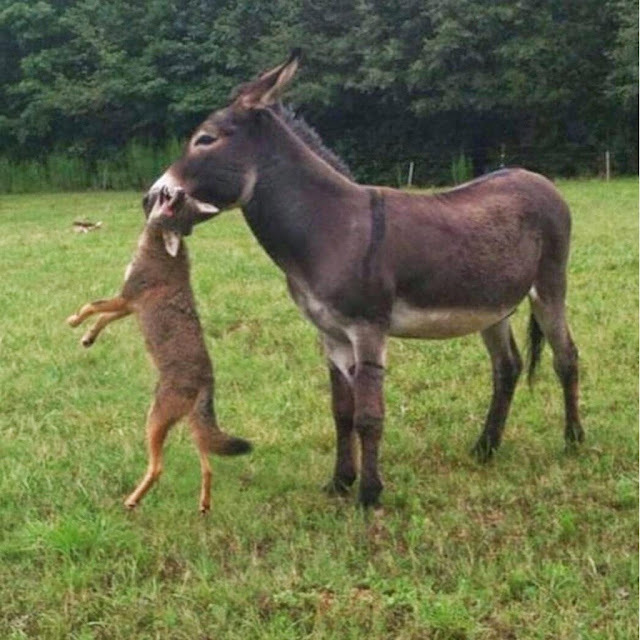 It's a double fail for the hungry fox as he lost his lunch too! These foxes had a bit more luck though! Funnily enough, when beer gets too much exposure to light, the beer is said to have been skunked.